This post contains press images by Patagonia with their kind permission for usage. Farmed Salmon – praised as the solution to solve hunger and rescuing biodiversity at the same time. At a first glance, this looks as a great idea: We farm the food we need to provide society and leave the wild population alive. It reminds me of the saying about the seven at one blow. However, similarly to the fable of the brave little Tailor, the salmon story is a fraud. Here’s what’s wrong with the assumptions. Salmon is praised for it high-levels of healthy omega-3 fatty acids, proteins, vitamins and minerals. The former is an essential fat, which is thought to be good for healthy brain functions, the heart, joints and general well-being. Although farmed salmon does consist these as well, they are in smaller amounts than their wild relatives. However, the recent recall of salmon products in 2019 due to listeria in Switzerland highlighted the problem drastically. Interestingly, the article leaves out, whether it was farmed or wild salmon. Apart from such bacteriae there are further highly questionable toxins in significant doses contained in farmed salmon. It comes as no surprise that there is a huge need for antibiotics in such monocultures. Furthermore, the colour is added through their diet, which the wild salmon got through their natural prey. The main argument for farmed salmon is that we preserve the wild populations. However, this neglects the fact that open water farms contaminate not only the sea floor with diseases and pollution into the surrounding environment, but also farm at the same time huge numbers of sea-lice. These parasites do minor harm to adult salmon. Yet, due to the location of these farms in protected bays, they kill the migrating young salmon that necessarily pass by. Moreover, to produce one kilogram of salmon, they need to feed more than one kilogram of other fish from the sea. Although some websites suggest the amount is less dramatic and most of the producers have changed to vegetarian diet for salmon, this is still not sustainable. 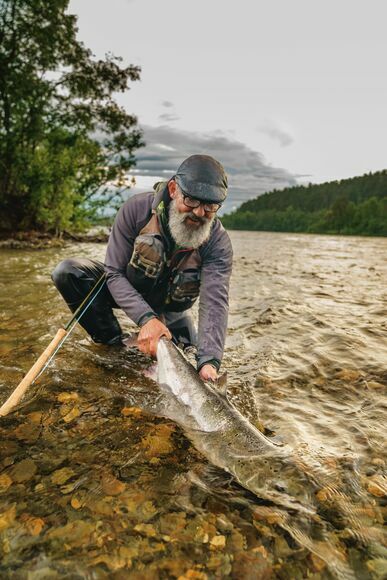 Patagonia succinctly stated: “The only way that salmon can be farmed that doesn’t interfere with wild salmon species is inside closed containment systems that make escaping impossible and totally prevents any pollution, diseases or parasites getting into the environment” (2019). Thus, eating farmed salmon from the newly created SwissLachs in Lostallo, Switzerland is unproblematic. You have to know where your food comes from! As pointed out above, aquacultures deplete the wild population with sea lice, faecalis and diseases. There is a reason for them needing so much antibiotics. 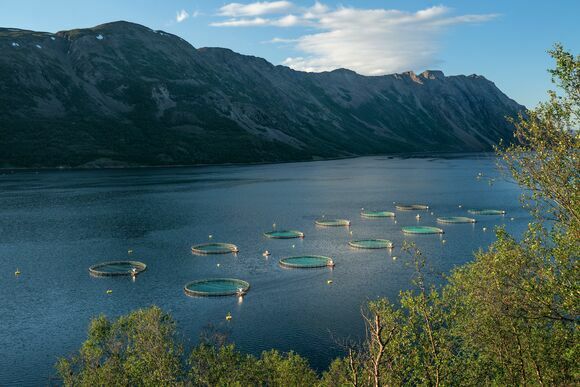 Frequently, open net farms were destroyed by natural forces and released millions of farmed salmon into the environment. There is no way to get them back and they have a detrimental influence on the genetic pool. Similarly, I made an argument in the post about stocking fish: farmed fish have negative effects on the wild population, be it salmon or trout. We must realise that we have neither fully understood nature, nor can we subdue it artifishally. 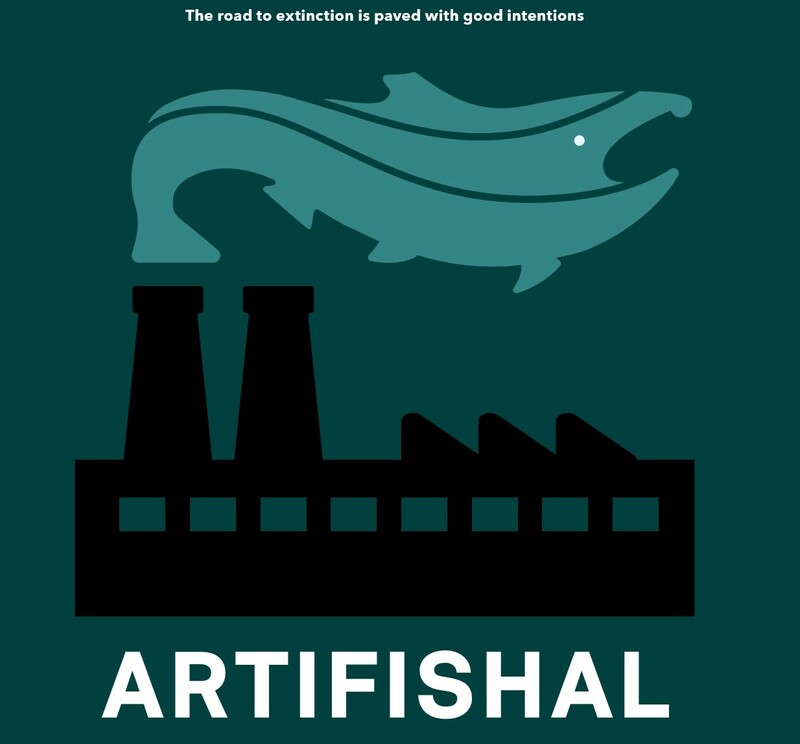 Patagonia released a film called Artifishal this April, which will be screened throughout the world. You will find me in Zurich at the screening on the 16th of May. The tickets are available here for free. Be there, be active – no excuses! If you want to do something good for you and the environment, stop eating farmed salmon. Not only does it harm you with high levels of toxins, but also does the wild salmon population suffer. There are more sustainable solutions to salmon farming, by consuming wild fish moderately and from trustworthy suppliers. Whereas the Artifishal page tells to not eat Atlantic salmon at all, I advocate to opt for wild salmon. Although the MSC (Marine Stewardship Council) is criticised for too loose handling of regulation, it still offers a guideline on for consumers. 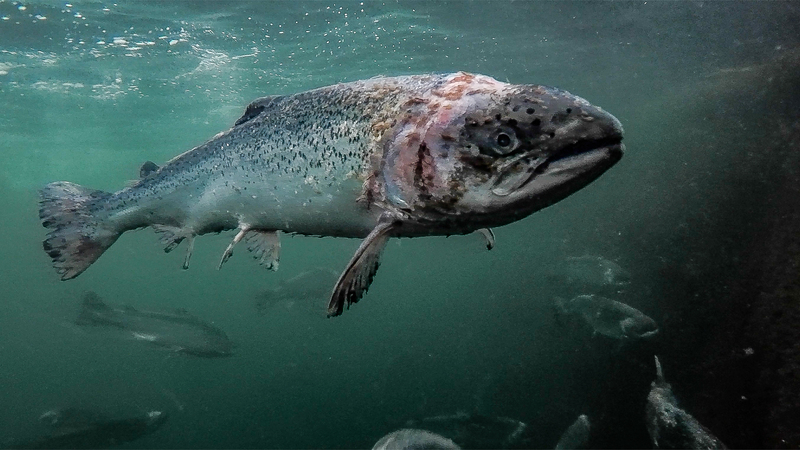 Regarding ASC (Aquaculture Stewardship Council), Patagonia states that they “[…] are not aware of any farmed salmon that doesn’t pose a serious threat to wild salmon and other species”(2019). Let us not give our kingdom and our princess to the brave little tailor (as it happened in the fable), but rather uncover the truth early enough to prevent further loss. Bailey, Kevin M.: Fishing lessons. 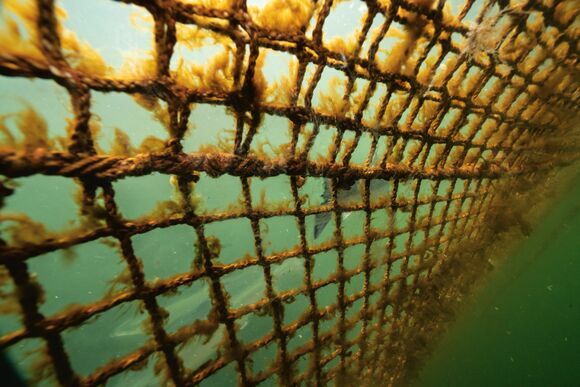 Artisanal fisheries and the futures of our oceans. Chicago 2018. Brady, Heather: Why Salmon Eating Insects Instead of Fish Is Better for Environment. 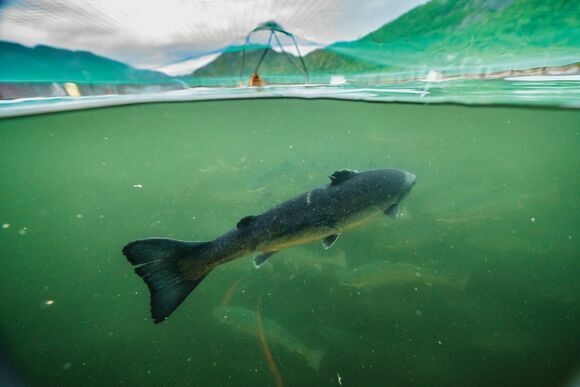 In: https://news.nationalgeographic.com/2018/02/salmon-insect-feed-fish-meal-netherlands/, as consulted on April 2nd, 2019. Lien, Marianne Elisabeth: Becoming Salmon. Aquaculture and the domestication of a fish. Berkerley 2015. Patagonia: Artifishal. The road to extinction is paved with good intentions. In: https://eu.patagonia.com/eu/artifishal.html, as consulted on April 2nd, 2019. Sutherland, Katherine: Sir David. Fish farms may kill all wild salmon. In: The Mail on Sunday, March 31st 2019. Recommendation: Thompson, Douglas M.: The quest for the golden trout. Environmental loss and America’s iconic fish. Hanover 2013.